Joshua Swamidass is an Assistant Professor of Laboratory and Genomic Medicine at Washington University, and a frequent critic of intelligent design. 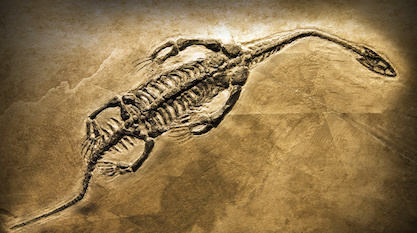 At the theistic evolutionary site BioLogos, he recently posted on the use of evolutionary theory in understanding cancer. He has written on this topic previously, and we have analyzed his arguments (see here, here, and here). I would like to take a step back and put his case in a larger context, the question of incremental versus radical innovation. But first, let’s meet Dr. Swamidass. Recently, he and I exchanged emails, giving me a chance to ask him to clarify his positions. I thank him for his time. Swamidass explained that he is a devout Christian, and believes that God did create life. However, he thinks that the exact means by which this was accomplished, how the blueprints of different species were instantiated in the physical world, is a mystery. Because of this, he said, he doubts that the unfolding of life can ever be disentangled from physical processes. Instead, he feels the evidence for design in nature should be seen as an entire package. He is skeptical of any characteristics of living organisms being used, via modern design-detection methods, as distinct, isolated evidence for design. Rather, he thinks the Modern Synthesis offers a very helpful framework for understanding many aspects of nature, such as antibiotic resistance and cancer growth. He sees connections between these small-scale changes and patterns identified when comparing the genomes of different species. Therefore, he promotes the standard theory of evolution as the best approach to understanding the development of life. There is some common ground here. Proponents of intelligent design agree with Swamidass that the evidence from nature taken as a whole points to a designer, while he’s right as well that just how this design was instantiated in biology remains a mystery. There follows, however, a sharp parting of ways. First, ID theorists argue that many features of life could not plausibly arise from undirected natural process, and that those features instead display signatures (in the form of biological information) uniquely associated with intelligent agents. Second, we observe, recognizing this fact is scientifically fruitful. It leads to essential insights and new directions in research needed to fully understand biological processes and patterns. Many biologists appear to recognize the second point, at least unconsciously. We notice this, in their frequent use of design language and logic in describing systems ranging from single cells to complex structures (see here and here). Of course, they always attribute such design features to the wondrous power of natural selection. This is their faith. Which brings us to the subject of cancer. As Swamidass recognizes, and this is the key to his argument, an evolutionary framework can indeed provide insights into how tumor cells change and propagate (see here and here). However, this is true only to a certain limited extent. The key question is whether the sorts of mutations seen in tumors could accumulate in independent organisms to drive the large-scale transformations seen throughout the history of life. The answer is no. We see this, in part, from theories of engineering design that focus on the process of innovation. Such approaches recognize a fundamental difference between improving an existing design (incremental innovation) and creating an entirely new design based on a different design logic (radical innovation). A crude example would be the difference between slightly modifying a car by streamlining the frame, on one hand, and changing a car into a helicopter, on the other. Making slight improvements through a series of small steps would help optimize performance. However, this process could not be extrapolated to change the basic design architecture. Very soon after incremental changes were made to start turning the car into a helicopter, the car would suffer a dramatic loss of functionality. This would occur long before it could ever fly. The problem is that the two basic designs operate under fundamental constraints that are directly in conflict. Any change helping to meet the target constraints (e.g., power from the engine redirected to turning the rotor) would cause the system to fail to meet the original constraints (e.g., power from the engine directed to turning the wheels), thus downgrading performance or eliminating it altogether. Such self-defeating alterations would be immediately abandoned, causing the “evolutionary” process to come to a halt. Innovation experts Donald Norman and Roberto Verganti have illustrated this distinction in terms of hill climbing. They picture incremental improvements (in the evolutionary context, microevolution) as gradually climbing to the top of a local hill. A person only going uphill (improved fitness) would eventually reach a peak and become stuck. However, radical innovation (macroevolution) is the equivalent of moving from the face of one hill to an entirely different one. This would require a single, dramatic leap over the suboptimal terrain in between. What’s more, the different hills are so isolated that any undirected leap would land the system in the middle of a sea of nonfunctional arrangements of parts. The whole basis of innovation theories (e.g., TRIZ) lies in using previous knowledge of innovation to anticipate where the islands of functionality might reside. Therefore, innovation can only proceed through intelligent direction. The natural next question is to what extent this characteristic of engineered systems applies to life. At first glance, the logic seems to transfer completely. An illustration in nature would be the lung of a typical tetrapod evolving into the lung of a bird. All vertebrates, which long predate birds, have sack-like lungs, while birds and a few reptiles have lungs that are tubes, with air flowing in one direction only. Any mutation that alters a sack-like lung in such a way as to start turning it into a tube (e.g., puncturing a hole in the end) would seem to diminish the lung’s effectiveness. This challenge, by the way, is part of the larger hurdle of a theropod dinosaur transforming into a bird. However, the analogy is not complete. Living organisms differ from machines in many ways, such as their ability to grow, self-repair, and reproduce. Could these differences cause a comparison with human engineering to break down? Research over the past decades suggests the opposite. All of the differences actually result in even tighter constraints on life, making the challenge to evolution dramatically more severe. Imagine engineering a giant box filled with machinery, which self-assembles into a car. The constraints on that machinery would be greater than on a pre-assembled car, since any alteration at the beginning would have magnifying effects throughout the assembly process. The self-assembly of a car corresponds in many ways to the development and growth of life (e.g., steps leading from a fish egg to an adult fish). The original egg cell divides into two cells. Then, those cells divide into four cells, and so forth for many generations. The earlier stages of this process establish the basic architecture (body plan) of an organism through networks of genes, which control cell duplication, migration, and differentiation. These developmental networks have been studied for decades, and the conclusion of leaders in the field is that they cannot tolerate even minor alterations. Any change that significantly alters an organism’s body plan is always harmful and typically fatal, for the effects of early changes grow downstream, resulting in catastrophe for the adult. As a result, the fitness terrain that best corresponds to the different body plans is a series of highly isolated mountains, where every side is a steep, unscalable cliff. Thus, changing from one body plan, such as a sponge or worm, into another plan, such as a fish, requires many dramatic alterations to be implemented, at once, through intelligent guidance. This conclusion leads directly to the expectation that new body plans (phyla) should appear suddenly in the fossil record without a continuous series of intermediates leading back to the trunk of an evolutionary tree. And this is what we find. The prediction perfectly matches the pattern seen in the Cambrian explosion and in later sudden appearances of new architectures. Joshua Swamidass’s protests about cancer notwithstanding, this seamless integration of design theory, developmental networks, and the fossil record is only possible within an ID framework. Photo: Cancer researchers, by Rhoda Baer [Public domain], via Wikimedia Commons.